Walt Disney Studios Park is the second park at Disneyland Paris (the other being the traditional castle park, Disneyland Park). While it is unequivocally the worst Disney park in the world, it still has a few rides worth knowing. In this post, we start by discussing the best rides at Walt Disney Studios Park before moving on to the rest. We also have a guide to the rides of Disneyland Paris (i.e. Disneyland Park). This guide was last updated in September 2018 following our most recent visit to Disneyland Paris. With renovations to the park having already been announced, changes are coming, some of which we note below. 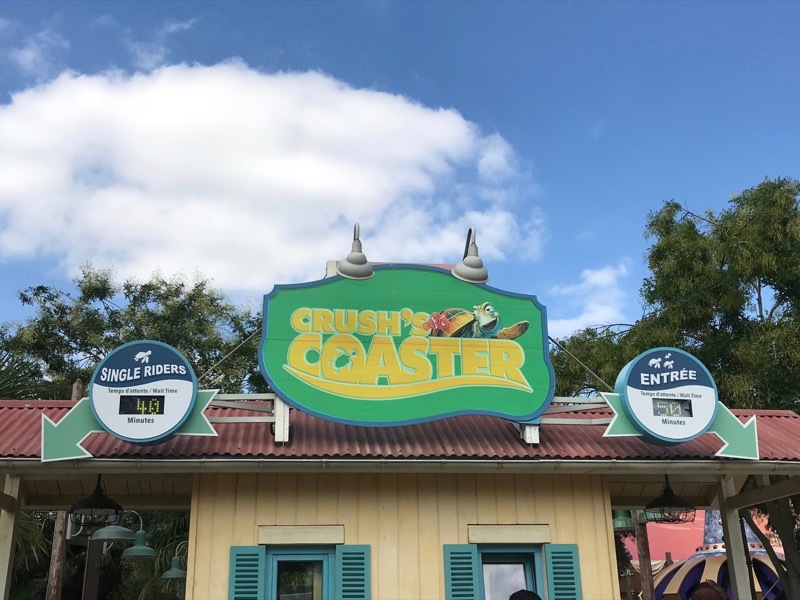 Crush’s Coaster is one of the two truly notable rides at Walt Disney Studios Park. It’s a fun kiddie-coaster type ride themed to Finding Nemo. It’s the best ride at Walt Disney Studios Park and one of the top five (maybe top three) at Disneyland Paris. 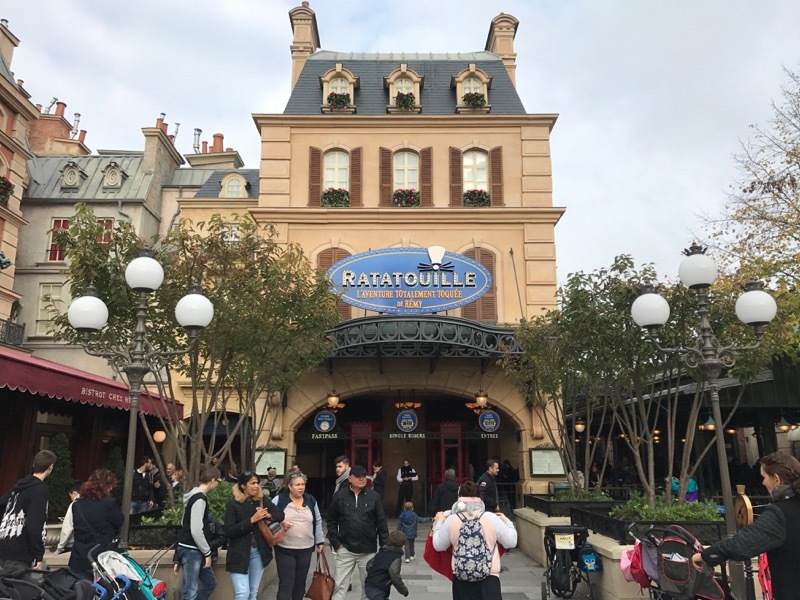 Ratatouille: The Adventure is a trackless dark ride that relies on screen to simulate a trip through the world of Ratatouille. It’s a fun ride, and the detailing in some of the scenes is awesome. Despite easily being the second- or third-best ride at Walt Disney Studios Park, waits are often 15 minutes or less, and FastPass is often easy to come by. This ride (or at least some variation of it) is coming to Epcot in the coming years. RC Racer is, in our minds, and underrated ride. If there were any sense in the world, RC Racer would have had a spot at Hollywood Studios’ Toy Story Land. It wasn’t meant to be, though, so you’ll have to visit Paris, Hong Kong, or Shanghai to enjoy it. The ride is simple: you sit in an RC car that goes forward and backwards, up and down a curved track. If the description isn’t quite clear, just check out that picture above. Like the other Toy Story Land rides, the wait can get to around 20 minutes, but if you arrive early you can walk right on. 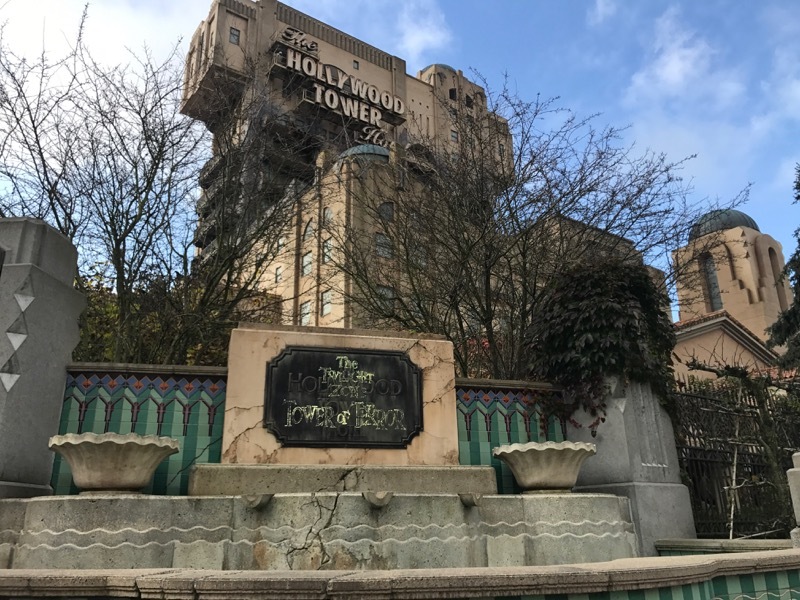 The Twilight Zone Tower of Terror is a drop ride themed to a visit to a (haunted) hotel from 1930s Hollywood. It offers magnificent views of the Disneyland Paris parks and is a must-ride for this reason alone. If you’ve ridden the Walt Disney World version of this, you may be a little disappointed with the details of the ride, but it’s still a great one. The remaining rides at Walt Disney Studios Park are easily skipped unless you have some leftover time at the park. If you have small children, it might make sense to fit a few of these in and skip longer waits at similar rides over in Disneyland Park. This is technically a unique ride at Disneyland Paris, but really it’s quite similar in design to any number of spinning rides (Alien Swirling Saucers, Mad Hatter’s Tea Cups, Mater’s Junkyard Jamboree). Grab a seat in a Cars vehicle and spin around for a minute or two. Somewhat surprisingly, the ride does not have FastPass. 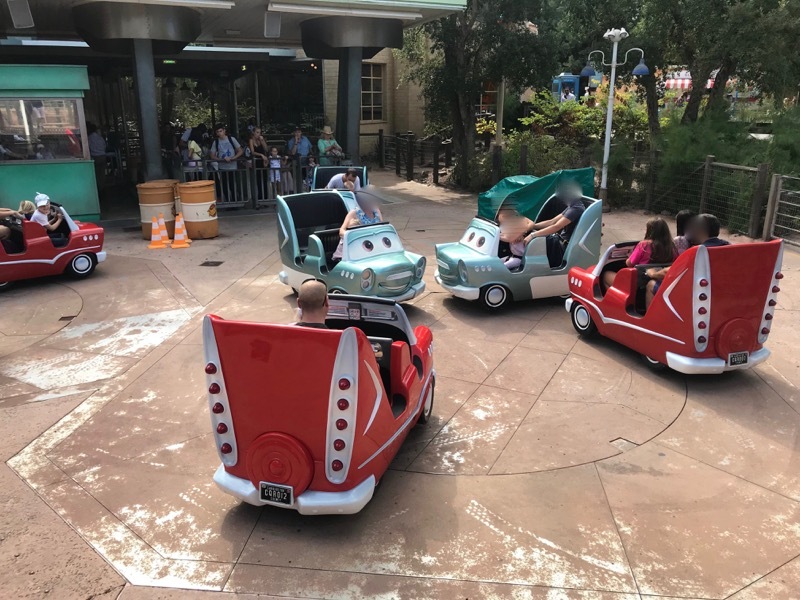 Luckily, waits at Walt Disney Studios Park rarely get over an hour, and as long as you’re at the resort for two days, you can use one of them to arrive at the park when it opens and walk right on. This is an aerial carousel ride themed to Aladdin. Unless you’re stuck at the park a full day, there’s really no reason to ride it. Rock ‘n’ Roller Coaster Starring Aerosmith is an indoor, dark roller coaster set to the music of Aerosmith. It features loops and corkscrews. If you’ve been on the Hollywood Studios version of this ride, you’ll find the Walt Disney Studios Park version nearly identical. Rock ‘n’ Roller Coaster typically has minimal wait and FastPass is readily available. The ride is going to be re-themed to Iron Man / Avengers in the near future. 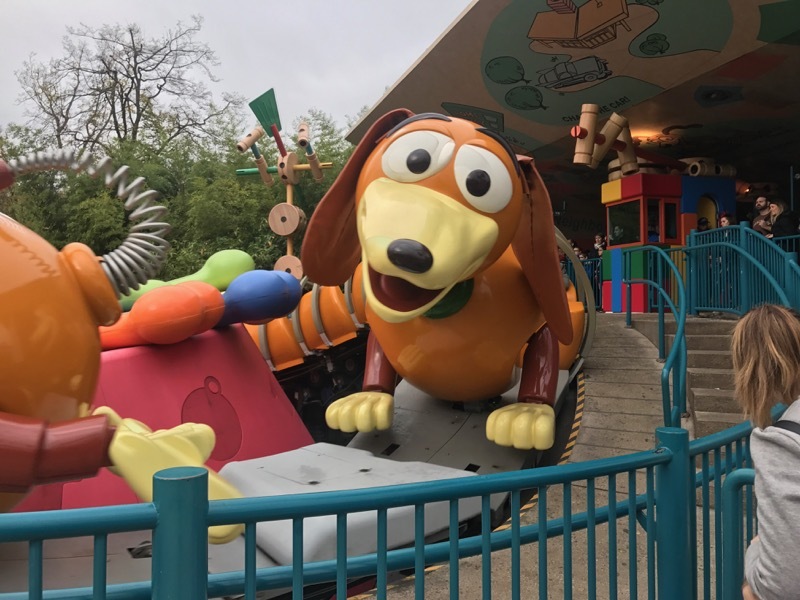 Slinky Dog Zigzag Spin is the kiddie coaster of kiddie coasters. You go around in a small circle, moving lightly up and down. Studio Tram Tour is much like the old Studio Backlot Tour at Hollywood Studios, just a little shorter and not quite as good. There are two “scenes” of note, but not much to see. While the wait time is often posted at 20 minutes, this is usually a fixed estimate based on the ride time. When two cars are going, you can usually get on every ten minutes. The ride is set to permanently close in the near future as part of the Walt Disney Studios Park renovations. Toy Soldiers Parachute Drop is a kiddie-drop ride themed to toy army men. Unlike Tower of Terror (which is also taller), Toy Soldiers is entirely outdoors, and the setup allows different seats to get different views. The drops are pretty slow, but still pretty enjoyable. The Art of Disney Animation is a combination film / “show” / walkthrough / interactive attraction about animation at Disney. If that sounds overwhelming, well, it isn’t. After a short film of Disney animation, you’ll be treated to a fairly uninformative talk between an animator and Mushu from Mulan. After that, you’ll have the chance to walk past a few exhibits on Disney animation and partake in a class on drawing a character. If you’d like (and we’d advise), you can skip the show parks and walk right into the exhibits and class. We’ve never been on this attraction, and it was closed during our September 2018 visit. Until we hear that it’s reopened, we’re assuming it is permanently closed, as it has been slated to close prior to the upcoming Walt Disney Studios Park expansion.